October, also known as Connected Educator Month, has arrived. The great news is that there are hundreds of organizations participating and a multitude of programs, events, and resources dedicated to making this a festive month of celebrating professional development within the global connected learning community. For those finding it difficult to know where and how to jump in, the newly revised Connected Educator Month Starter Kit charts a path to get you started, whether you’re looking to participate in just a few things, or you’re ready to take on everything the month has to offer. 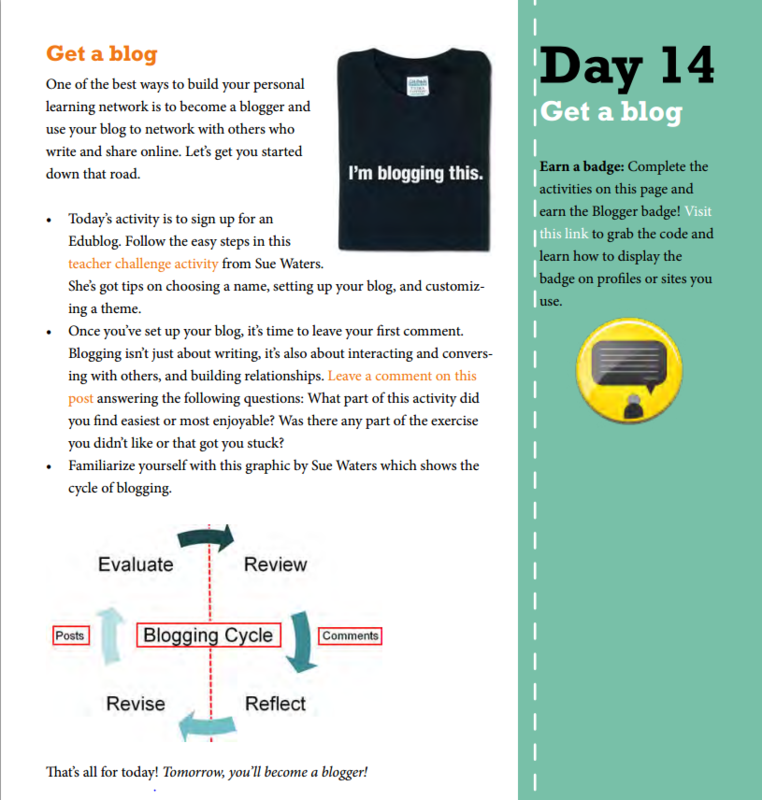 The guide is broken into thirty-one days worth of online activities and follows the “choose your own adventure” approach to Connected Educator Month. Follow the guide to the letter, or take a few of its suggestions before venturing out on your own to build a presence using a tool or platform that fuels your interests. Do you already know about connected learning or using Twitter? Skip that day’s suggested activities and replace them with items from the Connected Educator Month calendar. Updated daily, the calendar is full of events, collaborations, and activities for you to get involved. Browse or search for events that interest you, or sign up for a free account and create a personalized calendar to use throughout October. Participants should be aware of the many avenues for support throughout Connected Educator Month, including month-long forums and tutorials to guide you along the way, and culminating events to share what you’ve worked on during your connected educator journey. View the full Starter Kit, design your entry point, and start connecting!